Advertising in magazines is a proven way of generating high levels of responses from readers, especially weekend broadsheet newspaper readers who tend to be better off and inclined to make internet purchases. However, the downside is that national magazine exposure is notoriously expensive and could be prohibitive for smaller businesses. The good news is that there are plenty of local and regional publications, which can offer the opportunity to launch a magazine-based advertising campaign. 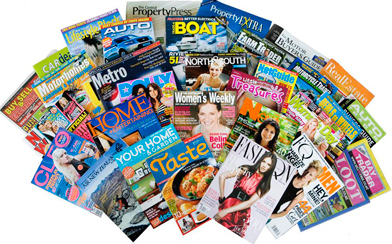 While a good number of these are paid-for titles, there are an increasing number of free local magazines that drop through the letterboxes of potential customers and these offer good value full-colour advertising opportunities. At SLS Advertising Services we have plenty of experience in and co-ordinating magazine advertising campaigns, from design to print, giving you the opportunity to target a more affluent potential customer. We can also advise you which magazines would be best option for your business and which wouldn’t giving you a clear picture of where you should go with your marketing budget. Contact us today and tap in to SLS’s magazine marketing know-how.